Hours: Monday through Friday – 10:00 a.m. until 5:00 p.m.
Saturday – 9:00 a.m. until 2:00 p.m.
Four Corners Custom Frame Shoppe and Home Décor is owned by Beth Wright Scates of Greenfield, Tennessee. The shoppe was initially opened in 1995 at its current location at 1406 South Meridian Street in Greenfield. Opened in a small corner of her father’s trucking business, the main service offered by Mrs. Scates was custom framing. In 2008, the business expanded to take in the reminder of the 3000 square foot building, which includes a warehouse area. Mrs. Scates added gifts for all occasions as well as furniture and home décor. Since that time, Four Corners has grown into a full service home décor store currently offering a wide range of home and office decorating services, including plantation shutters, wooden and vinyl blinds, lighting, and custom florals. The shoppe also offers a wide array of items to complement registries for the bride and her groom. Customers are welcome to bring in pictures of their homes for our consultants to make recommendations or our staff would be happy to visit your home or office. You may contact Mrs. Scates at Four Corners by calling 731-235-3198 or just stop by and visit with them. The shoppe is open Tuesday through Friday from 10:00 a.m. until 5:00 p.m. and Saturdays from 9:00 a.m. until 2:00 p.m. You will be amazed at the lovely assortment of items, the inviting atmosphere, and the one-of-a-kind service you will find at Four Corners. Visit them today! Hours: Wednesday through Friday from 10:00 a.m. until 5:00 p.m. Located on Broad Street in the heart of Greenfield, you’ll find Goob’s and Aunt B’s Antiques and Hidden Treasures. 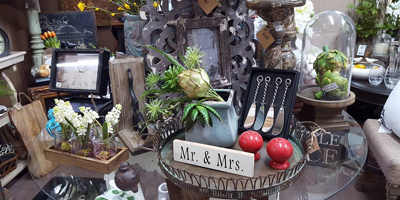 True to its name, Goob’s & Aunt B’s is a booth rental features rare antiques, beautiful new and trendy home décor, boutique ladies clothing and incredible prices, and extraordinary items perfect for gifts, holidays, and every occasion. Browse their large showroom where you’ll find everything from incomparable antiques, refinished and distressed furniture, and boutique jewelry, a gorgeous array of new baby clothing and gifts, ladies and mens clothing and boots with brands such as Live Oak, Comfort Color, Turnrows, and Give Her Six for the Tennessee fans. With endless gift ideas for the entire family, you have got to check out Goob’s and Aunt B’s in Greenfield. Ask them about their Bridal Registry options! Call them today, or better yet, stop by! Goob’s and Aunt B’s Antiques and Hidden Treasures – a Greenfield, Tennessee exclusive! The Greenfield Family Pharmacy is your newest family owned and operated pharmacy in Greenfield! Brad Medling, Pharm. D, and family opened in July of 2016 and are dedicated to providing fast, friendly service at competitive prices. With just one visit, you’ll discover that patient safety and customer satisfaction is their highest priority, and privacy and confidentiality are paramount. At Greenfield Family Pharmacy, you are more than just a number… you’re family. Ask about delivery options. Call today: 731-678-0201. For the perfect arrangement, gift, or special occasion item, look no further than Greenfield Florist located on Front Street in Greenfield. Come and see what beautiful items they have in stock today, or call to see if they can help you create your perfect custom item for your friends, family, or loved one. When you want to send a gift with meaning, Greenfield Florist is the professional solution for gifts and arrangements to send love and sympathy in difficult times. Call them today or stop by and find out why Greenfield Florist is so special: 731-235-3573. Big Cypress Tree State Park in Greenfield is named for the national champion bald cypress tree that once lived in the park. The tree was the largest bald cypress in the United States and the largest tree of any species east of the Mississippi River. In 1976, during a lightning storm, a strike caused the tree to die after living for more than 1,350 years. The park is a quaint, clean and relaxing spot to enjoy nature’s purity and beauty. 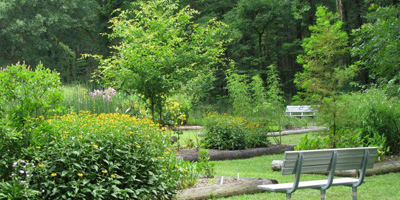 A variety of native wild flowers and trees may be seen such as showy evening primrose, black-eyed Susans, yellow poplar, bald cypress and dogwood. Along with plant life there is an abundance of wildlife at Big Cypress and the park is popular location for birdwatchers. The park hosts several Boy Scout camporees each year as well as individual troop camping trips. Picnicking is a popular activity at the park. The peaceful, quiet setting with plenty of shade makes it great for church outings along with family reunions and birthday parties. The largest picnic area can accommodate up to 35 people and is equipped with grills, water and electricity. The park also offers a playground and tree identification trail. The trail is easy to walk and ADA accessible. Come and enjoy peaceful and scenic Big Cypress Tree State Park in Greenfield.